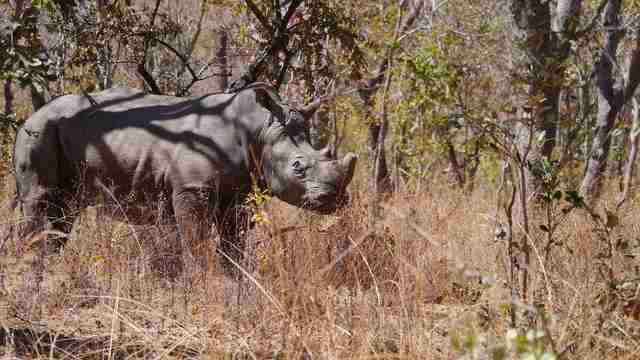 Does Zimbabwe really care about the rhinos — or is there another reason? Last year, 50 rhinos were illegally killed in Zimbabwe - and now, the country says, it's taking action to protect them. Zimbabwe has announced that it will be removing the horns from all of the rhinos living in the country's national parks. The animals' massive horns, valued as highly as gold for consumers who want the horns for traditional medicine or as signs of wealth, make them targets for poachers, who will often kill the animals to obtain them. Of the 700 rhinos left in Zimbabwe, fewer than 100 of them live in the national parks, with the rest confined to private land and conservancies. Some of those facilities already already use dehorning as a tool for high-risk rhinos as well, Dr. Lisa Marabini, director of AWARE Trust Zimbabwe, told The Dodo, also adding that the practice itself is nothing particularly new. 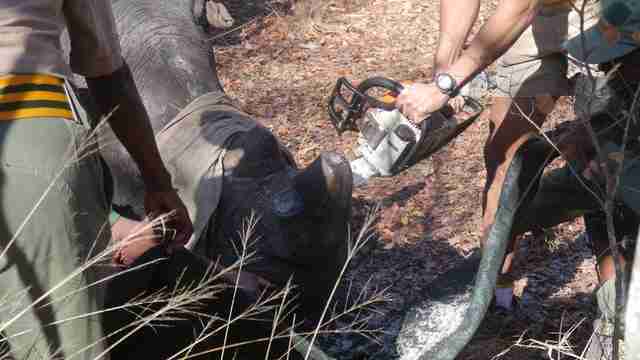 "Zimbabwe has been dehorning rhinos since the early '90s," she said. 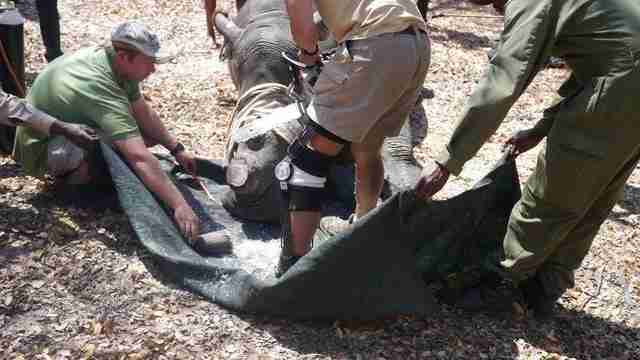 "Vets working at that time - which was also a big crisis in terms of poaching numbers - all attribute that there are any rhinos left in Zimbabwe to the fact that they dehorned over 500 back then." Marabini believes that the rhino population in the country today would have been decimated by now if the rhinos hadn't been dehorned in 2010, saying that without their horns, poachers are simply less likely to target them. AWARE Trust assists with rhino management in three different national parks as dictated by the government - the organization has just wrapped up its 2016 rhino dehorning operations. Rhino horns grow about 6 centimeters a year in younger animals - the growth process is slower in older animals - meaning that they have to be dehorned about every two years. Marabini said the process from darting a rhino to sleep, removing the horns and then waking the rhino back up usually takes about 30 minutes. 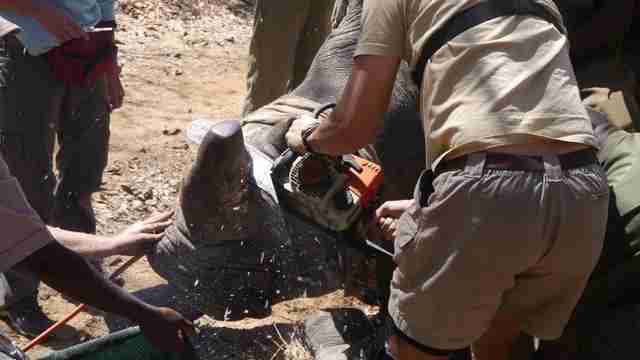 The entire process is painless for the rhino, she said. It's most similar to filing down a human nail - although much noisier given that the nail filer, in this case, is a chainsaw. "When they stand back up, white rhinos are often quite 'chilled' - they will often casually walk over to a vehicle to investigate," Marabini said. "Black rhinos are a different story - they snort and may charge if they see movement, much as they would if you bumped into them whilst walking in the bush." 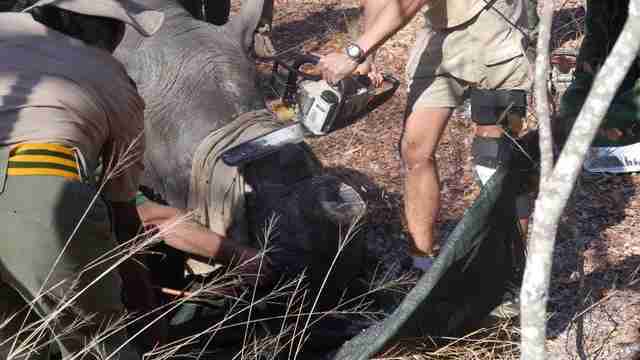 Yet some groups have raised questions about whether rhino dehorning is actually effective. According to Save the Rhino, some poachers still target rhinos after their horns are removed, either to access the stub of the horn left after removal, which still has value, or as vengeance for tracking down an animal with little value. There are also concerns that Zimbabwe is using the procedure as cover for a money-making operation. 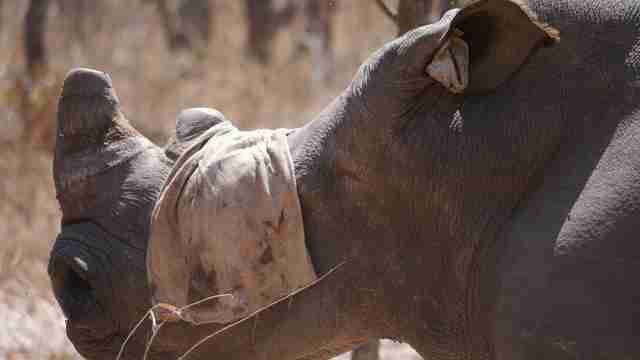 After the horns are removed, instead of being disposed of, they're placed into the possession of Zimbabwe's government, where the horns are microchipped, stockpiled and monitored for safekeeping. The country already stockpiles its elephant ivory - instead of burning it like other countries do - and is campaigning to be allowed to engage in the ivory trade despite a ban on international ivory trade by the Convention on International Trade in Endangered Species (CITES). Zimbabwe has previously captured and sold baby wild elephants to China - it's believed some of them died, and the survivors are said to be suffering in concrete cells. This spring, the country tried to sell off many of its endangered wild animals - including rhinos - to the highest bidder. "Keeping the removed horns in a government stockpile in Zimbabwe is like leaving confiscated cocaine with a drug dealer; the corrupt Zimbabwean government will push to sell their stockpiles when the time is right, just as they have with elephant ivory in the past two decades," Adam Roberts, CEO of Born Free USA told The Dodo. "Dehorning rhinos without increasing wildlife law enforcement capacity, shutting down global markets, and destroying the horns is a mere Band-Aid on the cancer of rhino poaching," he said. For now, it's unclear whether Zimbabwe's initiative will actually help rhinos. But Marabini made it known that AWARE Trust does not condone rhino horn trading. "If it was up to us, we'd torch the stockpile," she said. 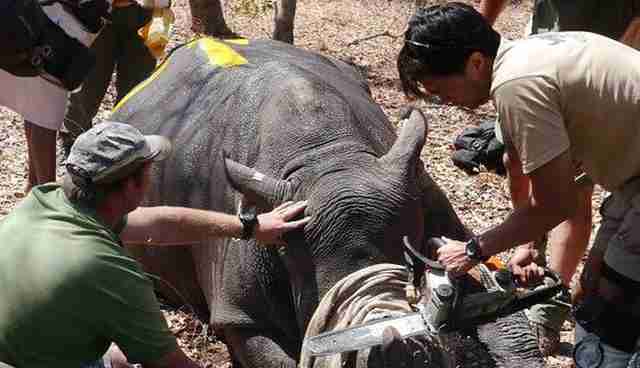 Want to help in the protectional and conservation of the world's rhinos? Consider making a donation here.